Joseph McShea, Born of Enniskillen in County Fermanagh, Ireland, was a farmer for multiple families before he, like many others, decided to pursue his dreams and travel to America. In 1918, he and his brother Frank took off with a suitcase in hand and a vision in sight. Soon after, Joseph and Frank landed in Worcester, Ma, where they began their careers in the labor force. Joe quickly became one of the most skilled brick masons in the area, working for 50 years under one company and preceded to build not only his own brick house in Worchester for his wife and four boys, but also a home on Cape Cod. Joe’s story of a hard working, persistent man with American goals and dreams is what created the foundations for McShea Insurance, which was started by Joe’s third son, Kevin McShea. McShea insurance was the creation of Kevin McShea’s persistent character passed down to him from the teachings of his father, Joe. After a few years working for MetLife, in 1986 Kevin started his own one-man agency in Marstons Mills. 30 years later his company has grown to a staff of 11+ and has expanded to the heart of Boston. Kevin’s wife, Michele McShea, joined the team early on and is now the Cheif Executive Accountant. Megan McShea, Kevin’s daughter, joined the family business in 2015 after schooling at Providence College. Starting as a secretary, she is now a crucial element to the Personal Lines team. 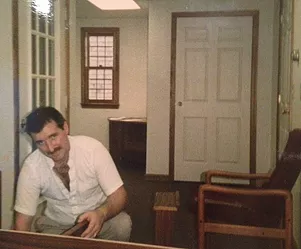 Our CEO, Kevin McShea, pictured here establishing his first one man office, 30 years ago. And finally, Jameson McShea, Kevin’s youngest son, joined the team in 2016 as a licensed Property Casualty Producer and Business Developer while he finishes his senior year at Harvard College, in Cambridge. 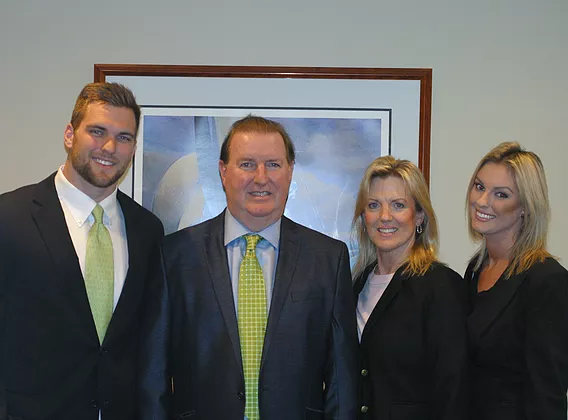 Jameson’s decision to join the team marked the beginning of the entire direct family of Kevin’s on board at McShea Insurance. McShea Insurance is not only an extremely family oriented team; it is a membership to a community that cares for others. When you join the McShea Insurance team as a client or an employee, you become family. For 30 years, we have worked day and night for the needs of clients because we want to represent you and take care of you the way you deserve to be cared for. Finding the best possible coverage for the best possible premium is what we do, and we are very good at it.